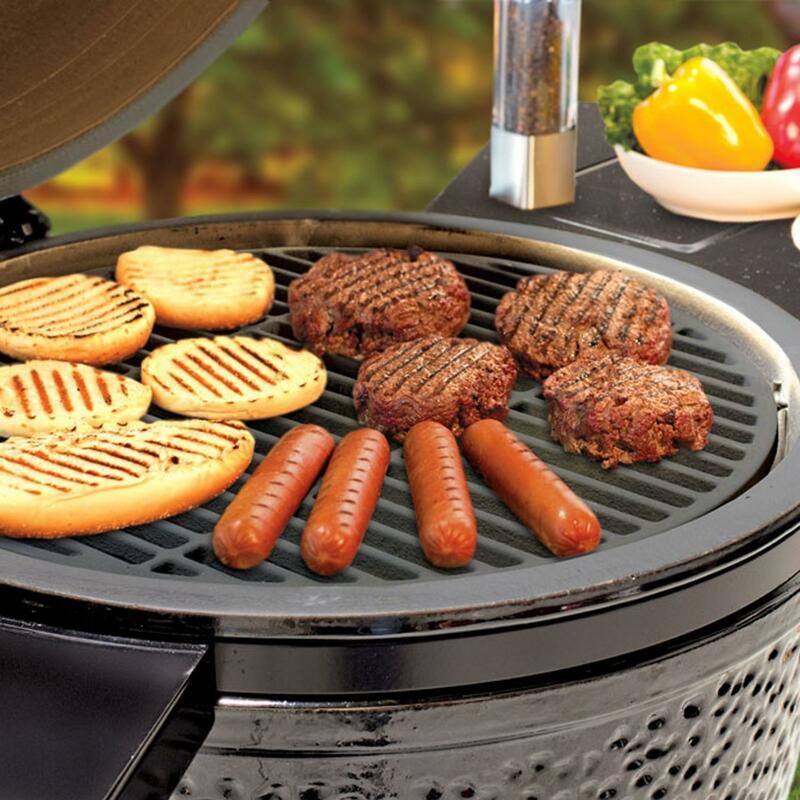 Produced with precision and attention to detail, the American made Vermont Castings Signature Series grills will provide years of enjoying meals with your family. 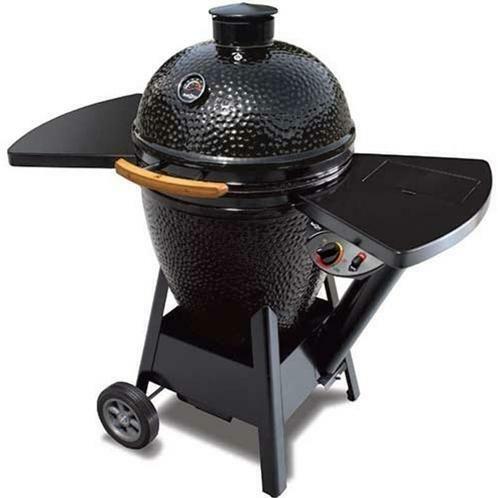 With its powerful performance, you have the ability to use four different cooking methods: searing, baking, rotisserie and smoking. 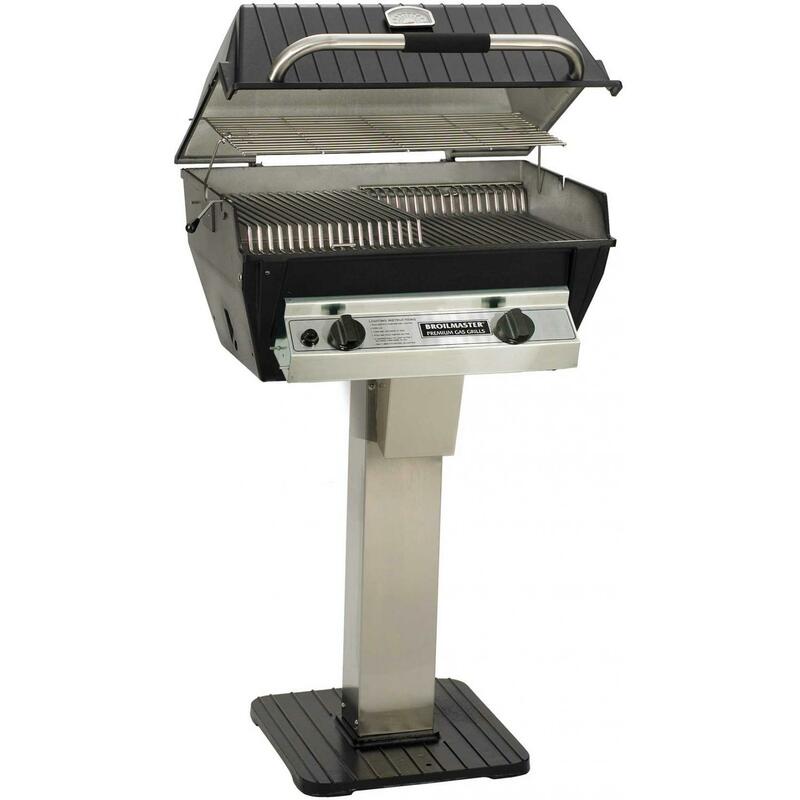 This propane gas grill on cart features three, stainless steel tube burners that push up to 40,500 BTUs of power, and with 673 square inches of total cooking space, there is plenty of room to cook a meal for the entire family. The porcelain-coated cast iron grates redistribute heat for even cooking, consistent temperatures and restaurant-style sear marks. 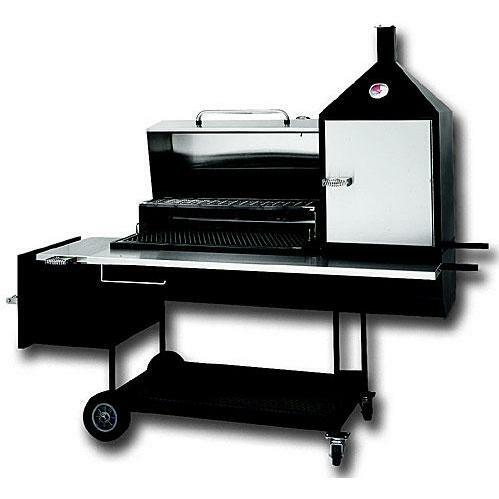 One side is rounded for cooking juicier foods, like burgers and steaks, and the other side is flat to remove more delicate items like seafood. 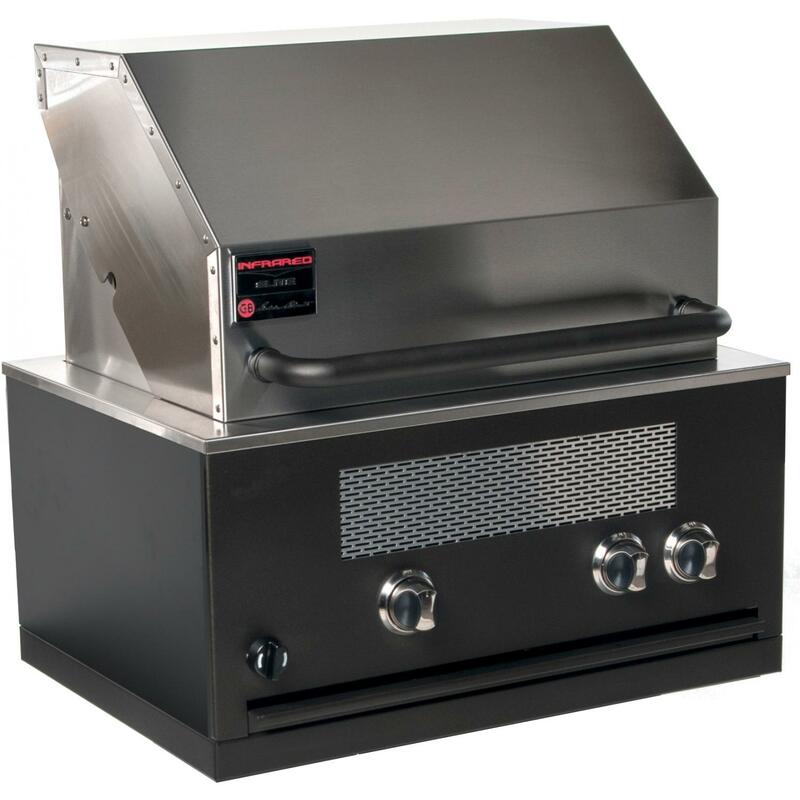 The cast iron end caps and extra deep firebox help maintain heat to keep food moist, while the titanium stabilized sear plates help reduce flare-ups. 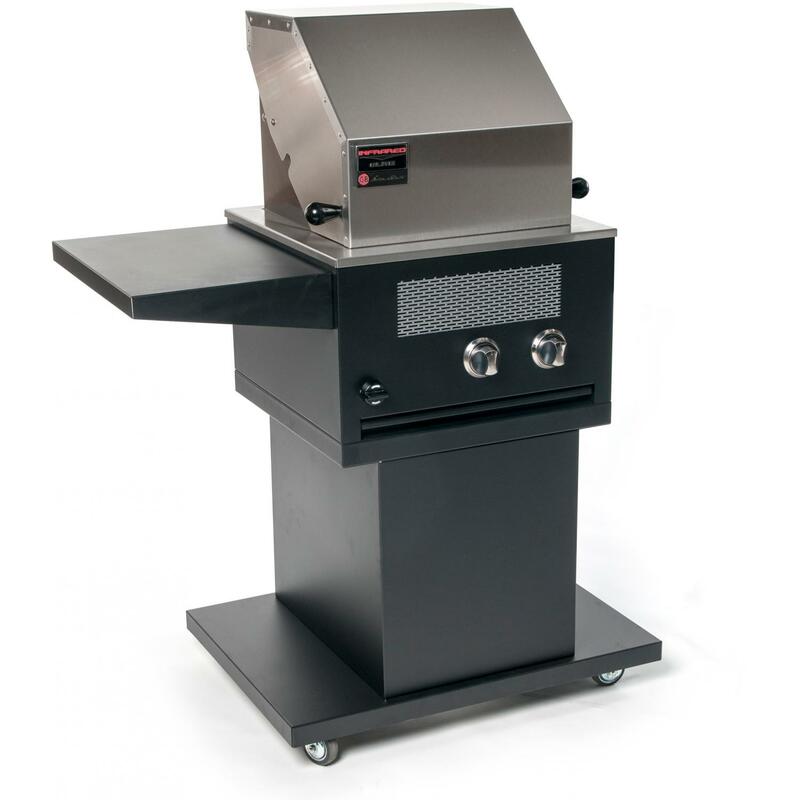 The EasyFlame ignition uses a single source to ensure each burner lights safely and consistently the first time. 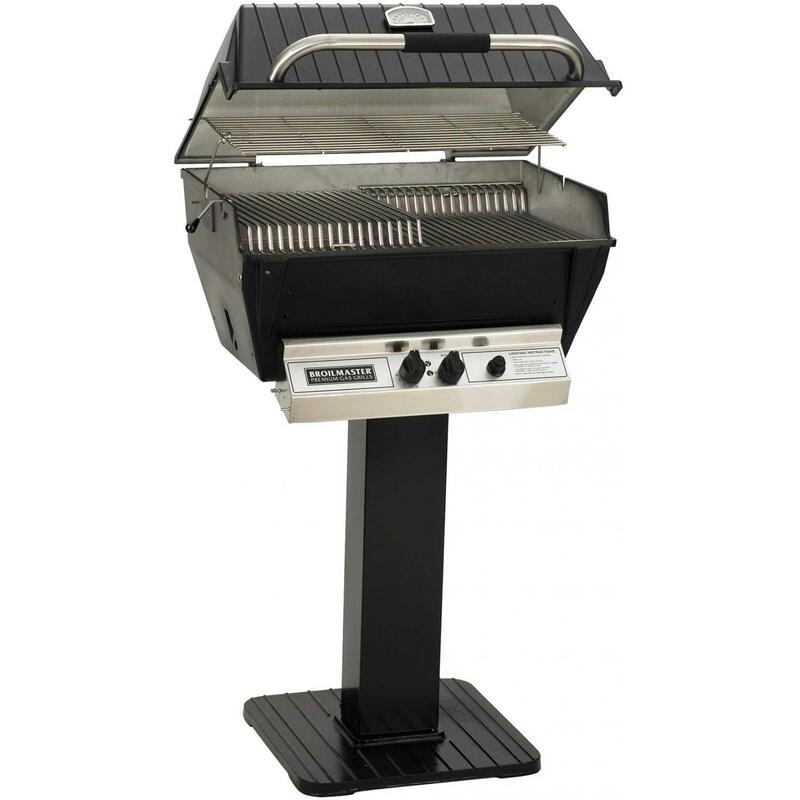 The convenience of LED back-lit knobs and the LED flex light make it easy to cook day or night. 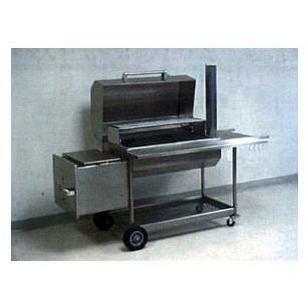 The cart is made with superior quality 300 series true stainless steel, has two doors for storing accessories and includes a deluxe grill cover. 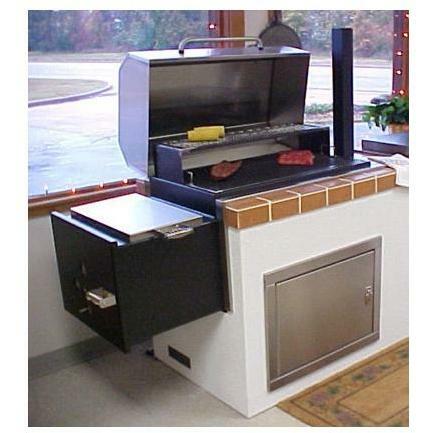 From the exterior cabinet to the interior grates, Vermont Castings grills are crafted with quality that stands the test of time. 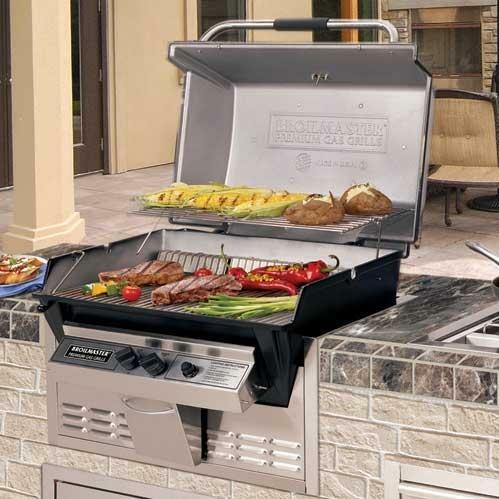 Produced with precision and attention to detail, the American made Vermont Castings Signature Series grills will provide years of enjoying meals with your family. 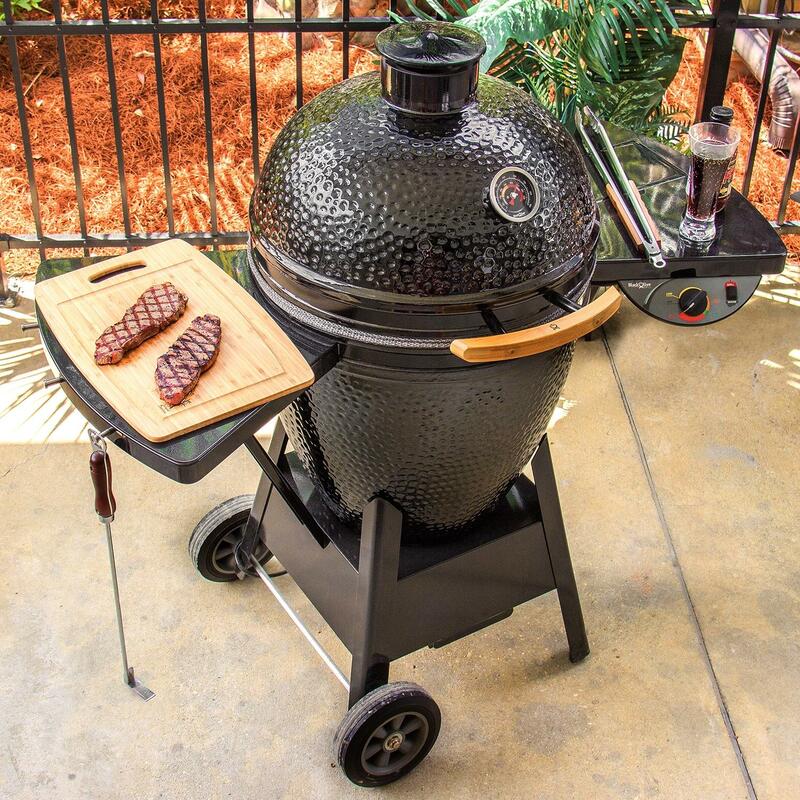 With its powerful performance, you have the ability to use four different cooking methods: searing, baking, rotisserie and smoking. 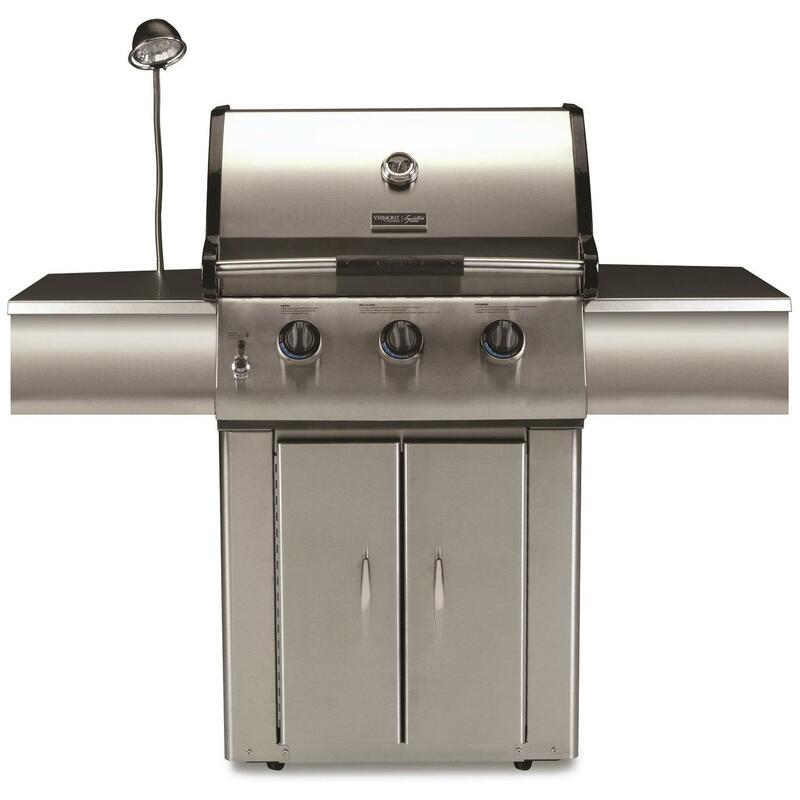 This natural gas grill on cart features three, stainless steel tube burners that push up to 40,500 BTUs of power, and with 673 square inches of total cooking space, there is plenty of room to cook a meal for the entire family. The porcelain-coated cast iron grates redistribute heat for even cooking, consistent temperatures and restaurant-style sear marks. 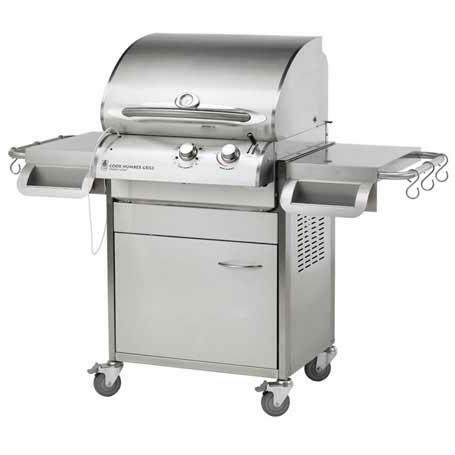 One side is rounded for cooking juicier foods, like burgers and steaks, and the other side is flat to remove more delicate items like seafood. 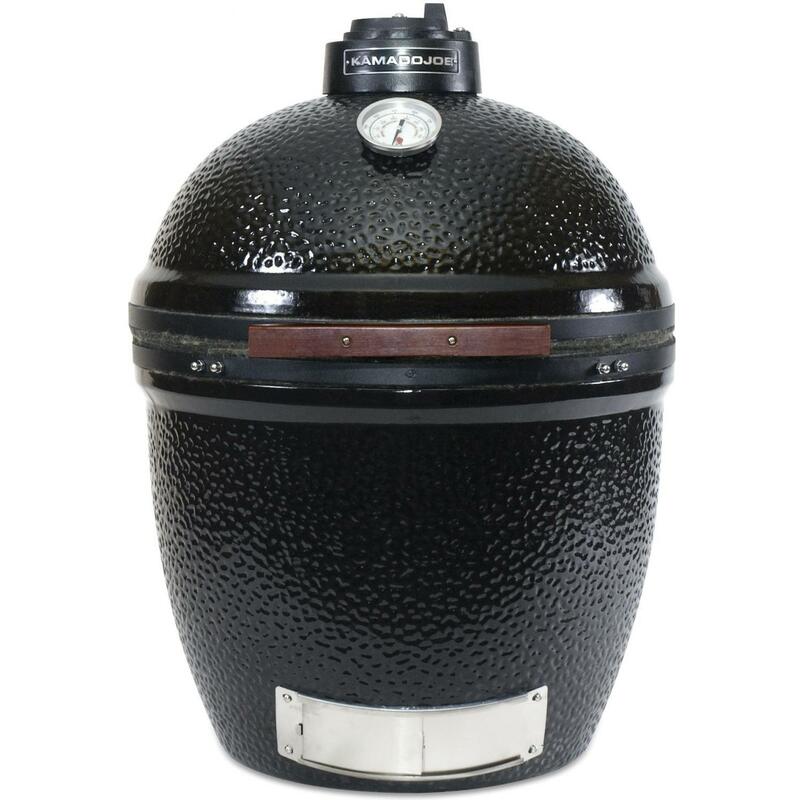 The cast iron end caps and extra deep firebox help maintain heat to keep food moist, while the titanium stabilized sear plates help reduce flare-ups. The EasyFlame ignition uses a single source to ensure each burner lights safely and consistently the first time. 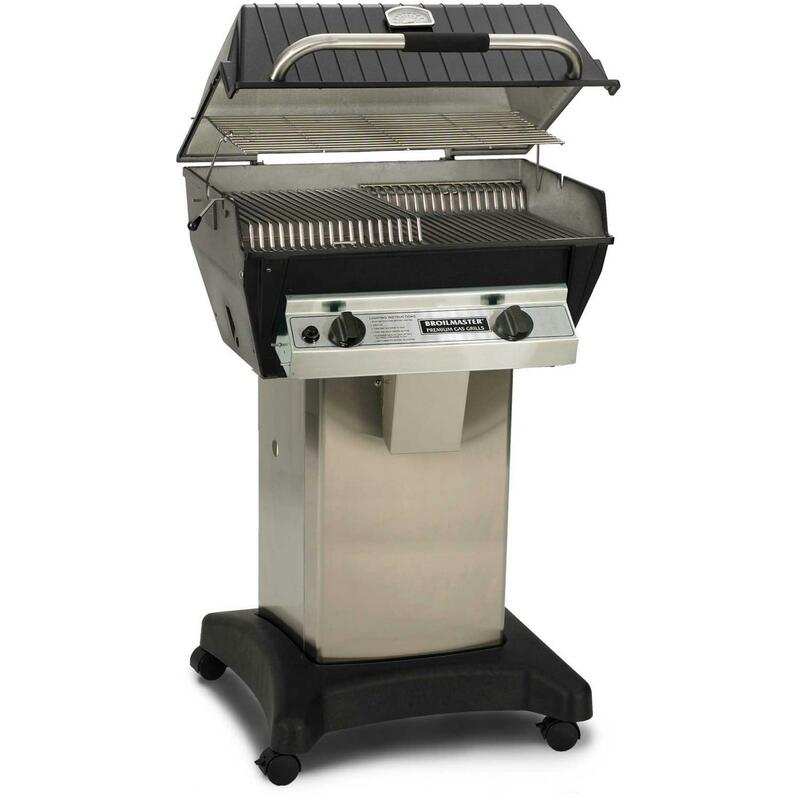 The convenience of LED back-lit knobs and the LED flex light make it easy to cook day or night. 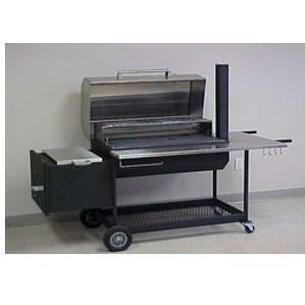 The cart is made with superior quality 300 series true stainless steel, has two doors for storing accessories and includes a deluxe grill cover. 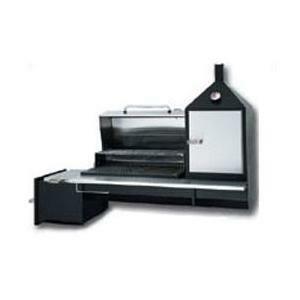 From the exterior cabinet to the interior grates, Vermont Castings grills are crafted with quality that stands the test of time.